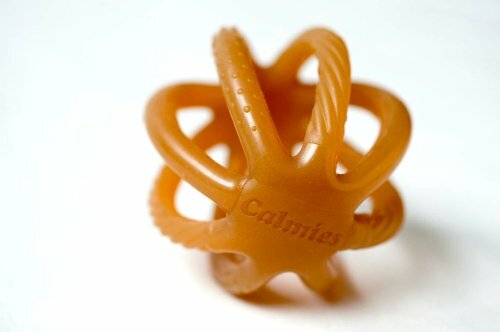 Calmies natural rubber teether is a revelation in teething design. Easily recognisable the calmies teether is bright orange and shaped as a ball, the teether itself is a good size but also easy to grip for baby. The Calmies all natural rubber teether is 100% safe, toxic free and most importantly its fun, and this has been proven by the world wide success of the brilliant calmies teether.